The Republic of Poland is located in Central Europe. This cultural paradise serves to welcome all with its alluring ancient city attractions and cobblestoned streets. With a population of over 38 million people, it is the opportunity to see incredible historic sites. Popular attractions include Wrocław Fountain in Wrocław, Royal Castle in Warsaw and Main Square in Krakow. Cheap flights to Poland are available for a limited period of time, so prepare to journey through this history-filled destination. Warsaw is home to Warsaw Chopin Airport (WAW) which is a 15-minute drive from the city centre. Explore Poland’s exquisite attractions by enjoying a beautiful stroll along several cobblestoned streets. 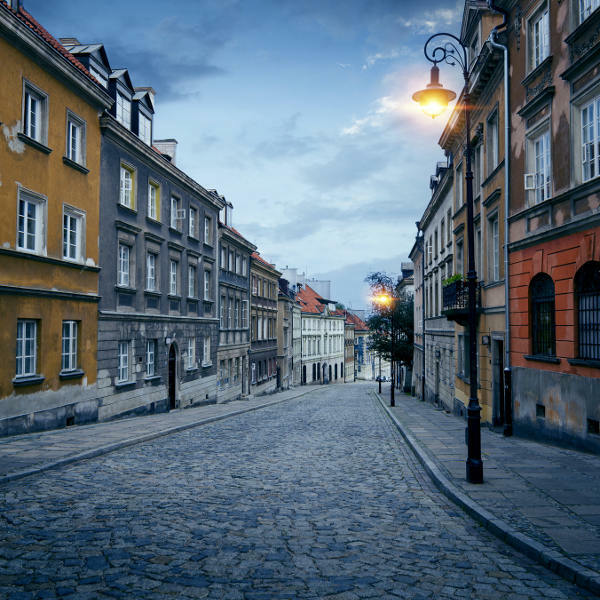 Whilst in the capital city, Warsaw, be sure to embark on an exploration of the historic streets in Old Town. Kaplica Czaszek is located in one of the oldest villages in Lower Silesian Voivodeship. This unique tourist attraction is home to the skulls and bones of over 3000 people, decorating the walls and the ceiling. This precious land is the last Primeval Forest in lowland Europe. Rare species of birds and several categories of fungi can be found in this otherworldly forest. 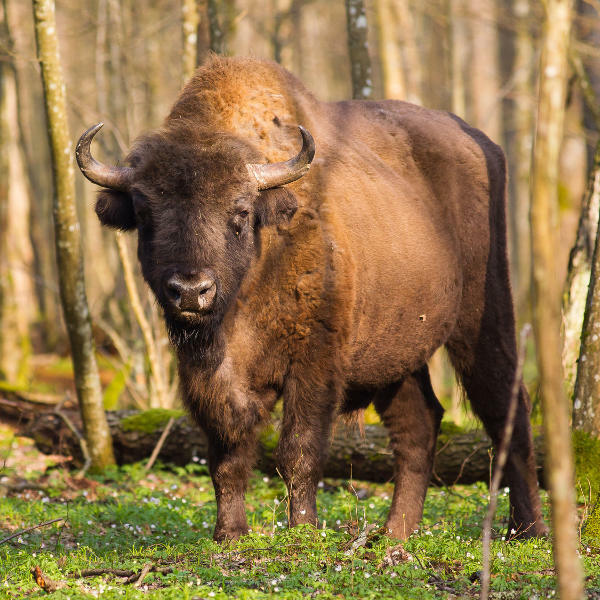 It is also home to the continent’s largest land mammal – the European Bison. Summer (June to August) is the peak tourist season in Poland. Embrace the cityscape filled with historic streets and explore the beautiful outdoors. November to February are the winter months in Poland, with captivating snow-capped mountains and temperatures dropping below zero. Explore ideal skiing environments such as Karpacz, Zakopane, Szczyrk and Białka Tatrzańska. For cheap flights to Poland consider the shoulder tourist months of March, April and October. You will be enchanted with the beautiful colours encapsulating the city. Prepare to be whisked away by spring and autumn landscapes. For those who are willing to travel to Poland with an open mind, avoid preconceptions and get ready to embrace its authenticity, you are sure to have this country unfold in its pure splendour. Poland’s unique beauty allows for a joyous and scintillating encounter throughout its cityscape and natural wonders. Traverse through Gothic architecture and derelict buildings from the Communist era, co-existing with modern business centres and a cool artistic scene. Warsaw affords tourists the chance to explore the city at their own pace. Stroll through the cobblestoned streets of Old Town and discover historic attractions. Pay a visit to one of the bustling cafes or experience the open galleries and musical performances during summer. Poland’s seaport, Gdańsk, has a multitude of life changing attractions such as the Royal Way, the European Solidarity Centre and Dlugi Targ. Beginning on the last Saturday of July for a period of three weeks, the city celebrates St. Dominic’s Fair – one of the longest traditions of Gdańsk. This festival includes street theatre, parades, concerts and sports events. Rzeszow is one of the most elite cities in Poland. As with all Polish cities, the main attraction is the Old Town Square. Beautiful historical buildings enchant the cityscape of this ancient dazzling metropolis. Compare several airlines and book your cheap flights to Poland online at Travelstart. Tourists should be up-to-date with routine vaccinations. These vaccines include measles-mumps-rubella (MMR), diphtheria-tetanus-pertussis, varicella (chickenpox), polio, and your yearly flu shot. Most travellers are encouraged to get vaccines for hepatitis A, hepatitis B and rabies. Poland is a safe country to tour. The people are friendly and welcoming. Tourists are still encouraged to use common sense and obey general regulations in the country. Be wary of pickpocketing in public spaces such as tourist destinations and public transportation. Do not leave your valuables unattended.